When it comes to investing, we can all be our worst enemies. This is because we let our emotions get the best of us – and at the worst possible times. Maintaining discipline is never easy, but it’s something that can be mastered with education. Many investors tend to get excited about investing after their prices have risen. This happens because people feel comfortable and confident as markets rise. In reverse, when markets are in a downturn fear begins to set in. 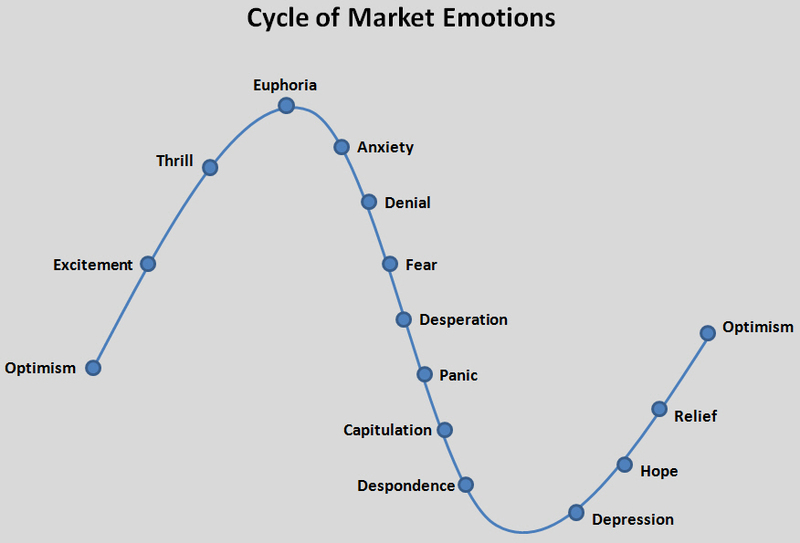 This results in investors selling often at the bottom of a cycle. Think about the role of the media and finance industry in this cycle. The media needs drama, movement and colour to attract audiences and the financial industry makes a great deal of its money from clients continually buying and selling investments. If clients continually trade in and out of investments the main beneficiaries are investment houses who charge fees based on those trades. It’s important to remember market uncertainties will come and go. More of often than not, those that panic miss the inevitable rebound when it comes. And As your investment partner, we’re here to help you take the longer term view with your portfolio. If you’re not convinced about the futility of jumping in and out of the market, this chart underscores the potential to miss available gains. If you had invested $1,000 in the ASX/S&P 300 Accumulation Index in April 2000 and left it untouched, you would have a balance of $3,632 by the end of December 2016. 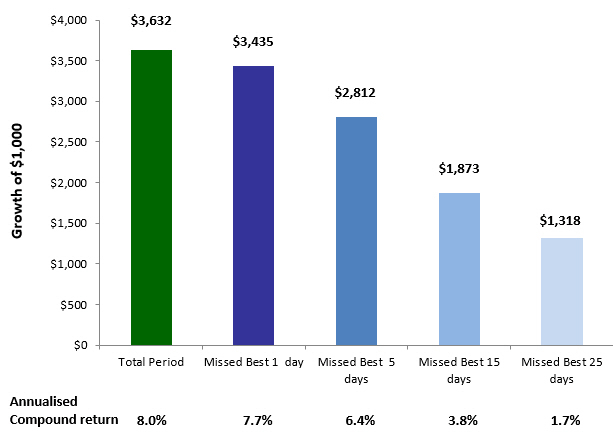 If you had missed the best 15 trading days in that period, the balance would have reduced by almost 50% to $1,873.